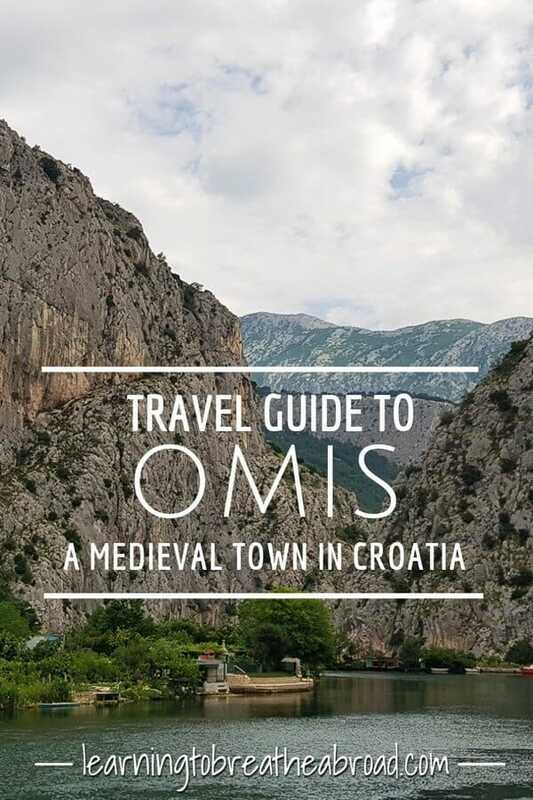 Omis is a small town only 25km south of Split. Called the Omis Riviera, this stretch of the Dalmation coast has everything you could wish for – crystal clear turquoise waters, the dramatic Dinara Mountain and the amazing canyon of the Cetina River. 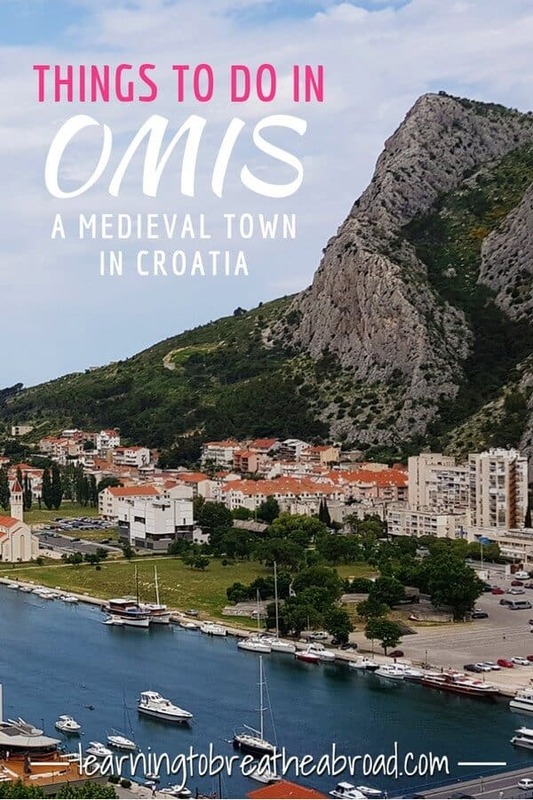 Omis is well known as a pirate town. The pirates would use fast boats to dart into the sea from the mouth of the Cetina River, attack passing ships and quickly make their escape back down the river, where the ships could not follow. Somedays I wish Tai was old enough to drive so that I could just stare out the window at the beautiful scenery and take lots of pics and this was one of those drives. From Trogir to Omis, we followed a coastal road with beach after stunning beach. It was perfect weather and the crystal clear water was shimmering different shades of greens and blues. I could have stopped a hundred times. We found our great campsite, got parked up and grabbed a beer to enjoy on the beach. Tai went cruising on his J-board and I got to relax for a little bit. The campsite restaurant was right on the beach and feeling lazy we opted to splurge on dinner out. I had the local specialty – seafood risotto with a big juicy prawn and Tai had a ginormous pizza and it only cost 20 Euros, so we’d definitely veered off the beaten track. The next morning we were up early to climb up to the Mirabelle Fortress. 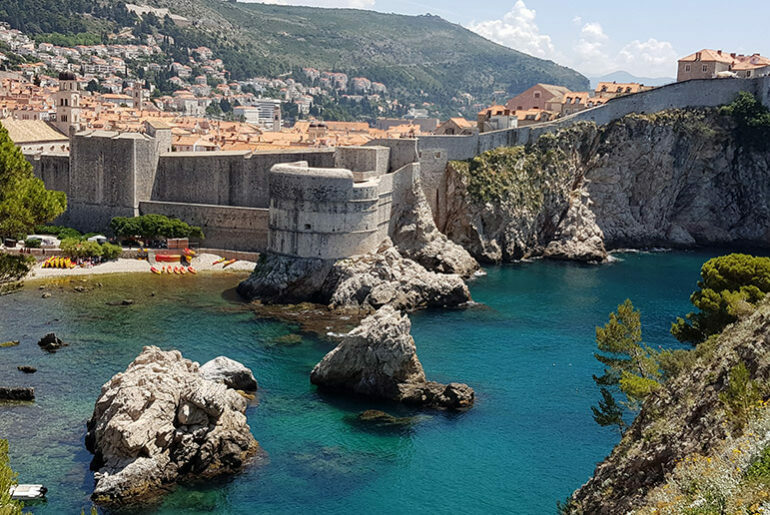 Perched on the hill overlooking the old town, we had fabulous views over the Cetina River, the old town, and the gorgeous Velika Plaza Beach. The old town was already buzzing with people drinking coffee and eating delicious pastries for breakfast. The 13th Century Mirabelle Fortress can be found high up on the hill behind the Old Town of Omis. It is due to its height that the views are so magical. It only takes about 30 minutes to climb to the top but the path consists of a set of steep stairs, so may cause you to huff and puff a bit. The route is well signposted with the trail starting next to St. Michael’s church. There is an entrance fee of 20 Kuna to climb right to the top. Make sure you climb the ladder in the tower to get the best possible views. At 8am in the morning, the old town was already abuzz with locals drinking coffee and eating pastries. The cobbled streets are charming. I always try to imagine life on these streets back in medieval times – if only these walls could talk! 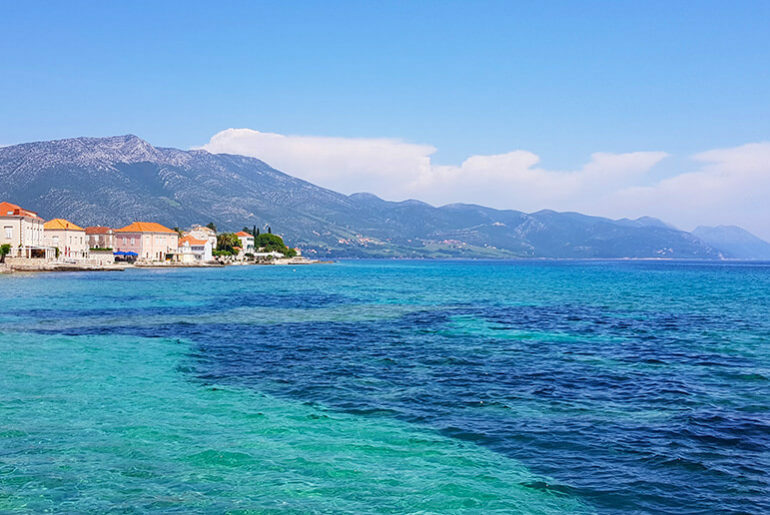 Omis is blessed with stunning beaches and an incredibly clear blue sea, so if you are a sun lover, you will be in your element. Beach Velika Plaza (The Big Beach) is the most popular beach in Omis. 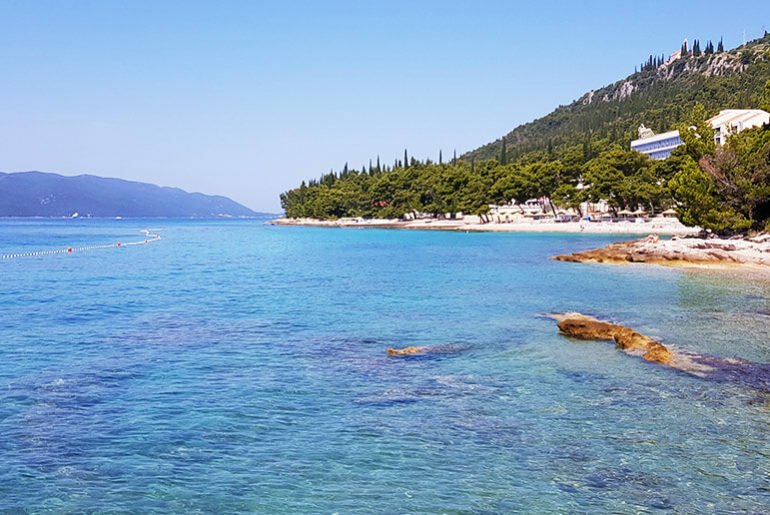 Situated right in the middle of town, this 700m stretch of sea has one of Croatia’s few sandy beaches. 10 Minutes to the South are the pebble beaches of Slavinj Beach and Brzet Beach. Our favourite was the beach at our campsite – Camping Galeb. This 400m long sandy beach extends the length of the campsite but is accessible to anyone. There is also a restaurant, bar and saltwater swimming pool, should you wish to enjoy a drink and some funky tunes. Omis is an adventure centre so lots of opportunities to go white water rafting and zip lining. There are various companies offering tours. We didn’t do any, as our time was short but we saw lots of people heading out for adventure. Leaving the town, we followed the river between towering karst formations, our destination the town of Ploce, where we boarded a ferry to the Peljasec Peninsula. We stayed at Camping Galeb. It was a nice sized campsite with full facilities. A stunning sandy beach, with a beach bar, salt water swimming pool, and restaurant (super cheap!). Wifi was excellent!